I listened to this dozens of times September 9th and 10th in 2009 whilst laboring. Ani wrote this song while laboring at home over 40+ hours during the birth of her daughter, Petah. Look how much the world loves you. 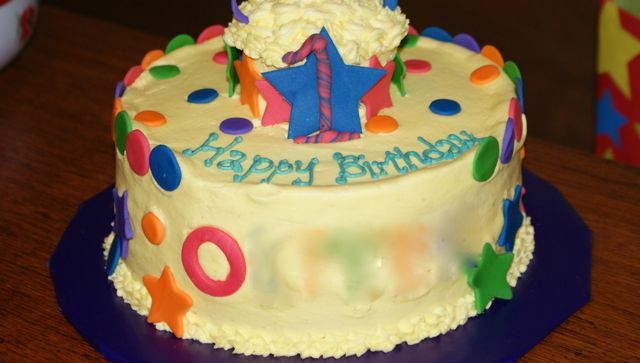 Tomorrow O turns 2. (Well, actually at 2:43 in the morning.) I’ve got birth on my mind. This is what turning 13 looks like. And the tie-die! I remember this shirt was too big, so I would knot it at my waist. I also had matching capris. 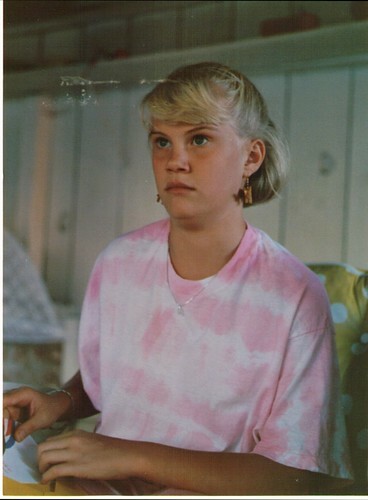 It was an explosion of pink tie-die. Purchased from Express. So super trendy. I was so cool. Please note, my earring are carved wooden elephants. Just what every girl needs. Sadly, I don’t still have them. What was happening in your 1988? 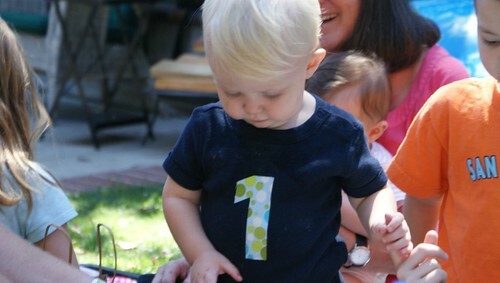 Seems only fitting that I should finally get around to talking about the boy’s 1st birthday, no? O’s birthday fell in the shadow of my cousin’s son’s death (which I’m working on telling you all about…it’s hard to talk about babies dying though), so it was a little bittersweet. But we were at my mom’s house in California, so we were able to have a small celebration with my family, and friends. And CAKE! It’s not a birthday without cake! O had a great time. He loved having all the kids to play with around. 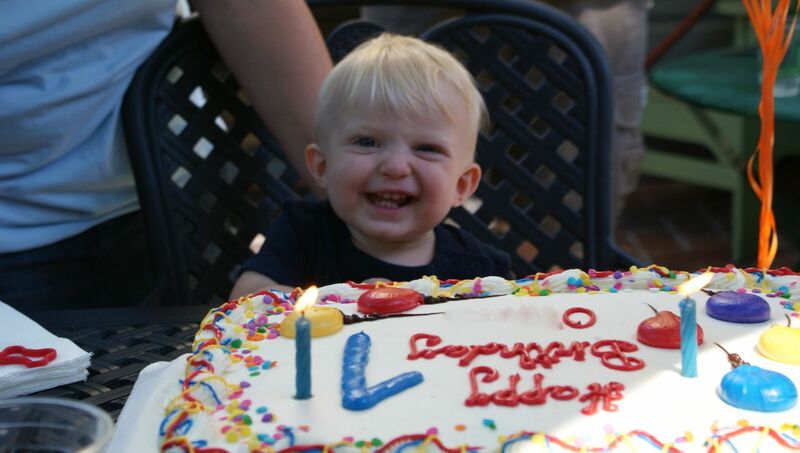 I think he had a good time opening his gifts, and he LOVED the cake. The party needed to be shifted at the last minute to accommodate the memorial service, so it didn’t come off the way I had planned. But nonetheless, it was a nice way to usher in toddlerhood. When we got back to Virginia, he had a second first birthday with some friends here. That’s a LOT of birthday parties. A good friend of mine made a spectacular cake for him. It was perfect, and incredibly tasty too! Life V 2.0 · At the intersection of feminism, motherhood, and life.